Spring is here and it is time to update and revamp decor that would be perfect for spring! One of my favorite things I love about spring is all the bright colors and new plants that come from those rainy, gloomy days. I have found some amazing online stores, (curtsy of Etsy) that sell adorable spring and tiny house themed decor that would be perfect for any home- big or tiny! 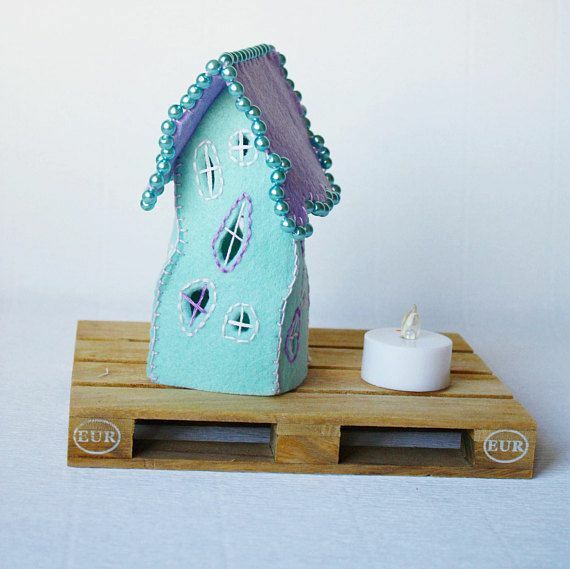 This adorable online shop sells all different types of ceramic tiny houses- themed too! These tiny houses are designed and sculpted by artist Laura Pallatin who was inspired by her imagination and creativity. From Christmas themed houses to ethereal fairy-like houses to miniature pubs, these tiny houses are painted with lots of bright vibrant colors that are sure to stand out on any shelf and perfect for anyone who loves tiny houses. Located in Italy, this shop boosts of having unique crafts and goods that are all handmade and super cute. Using- you guessed it, felt as the main material for the build, this shop has decorative tall tiny houses with wonky windows and cool bead trimmed roofs. Even better, these houses can serve as a candle holder, thanks to a a little battery operated tea candle! Besides tiny houses, this shop carries beautifully crafted trinket or ring boxes that can hold all your small jewelry or valuables. The motto of this shop is “creating unique little things” and based on the assortment of miniature trinkets, this store lives up to its’ name. This Warsaw, Poland shop is ceramic based and makes items from jewelry dishes to miniature animals to tiny houses! Even better, some of these tiny houses can double as a cake topper. Perfect for a party and a great memento to keep for many years too. 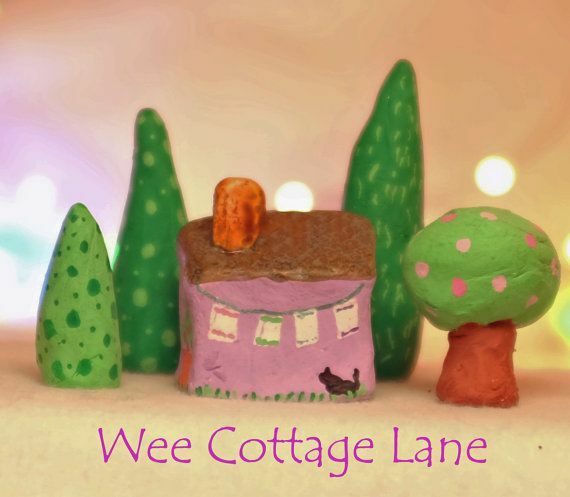 This shop makes 100% hand sculpted polymer clay figurines and is located in Queens, New York. From little piggies to adorable egg shaped tiny houses, each and every clay figure is beautifully crafted and brightly colored. These tiny houses are really unique and stand out with its own personality and colorful exterior that would not only brighten your day, but be perfect to put on your desk or window sill for fun. Furthermore, this whimsical little house just might be the thing to help those creative juices to flow!